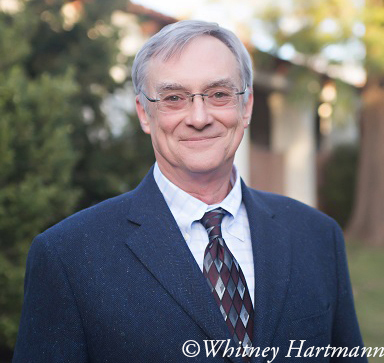 Michael William Shanahan was elected to the Ojai Unified School District Board in 2014. Michael came to Ojai in 2013 with his partner of 35 years, Micheal Frances Smith, to serve as the Vice Chancellor of Human Resources for the Ventura County Community College District. Before coming to Ojai, Michael worked for ten years in human resources at the Los Angeles Community College District, the largest community college district in the nation, including three years as head of the division. A California native, Michael was born in Sacramento. After graduating from Christian Brothers High School, he studied theatre arts and directing at California State University, Sacramento. He relocated to Los Angeles where he received his bachelors in business administration (BBA) from National University, and in 2000, his juris doctorate (JD) from Loyola Law School. Michael’s focus for decades has been the workplace. He has thirty years of experience in employee and organizational development, recruiting, labor relations, dispute resolution, and management consulting, including two years as a staff attorney at SEIU Local 1000, representing employees of the State of California. When not working, Michael enjoys reading, bicycling, swimming, his friends and neighbors, and hunting fountain pens to add to his collection.